CHATEAU FABREGUES COSTIERES DE NIMES for only $15.09 in online liquor store. 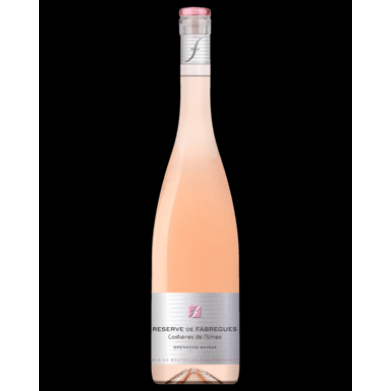 Reserve de Fabregues Costieres de Nimes Rosé displays a very pale pink colour. Light, fresh and elegant. Reveals delicate peony notes and strawberry aromas.